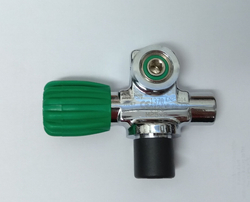 Air gun bottles made from high quality chrome molybdenum steel are much more durable than aluminum tanks. 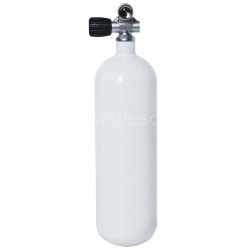 New manufacturing technology enable reduce weight of air gun bottles without reducing safety so you can easily manipulate with your air gun and liquidate your enemies. 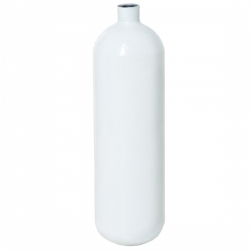 Our air gun bottles are filling with high pressure air. Advantages of compressed air against CO2, are accuracy, efficiency, safety and longer working. 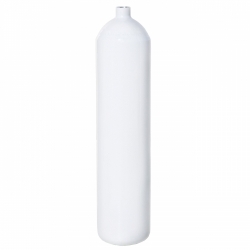 Our refilling air gun bottles have abundant volume for multiple filling your primary air gun bottle. Why steel air gun bottle? Because steel is stronger and more ductile than aluminum, construction of diving cylinders requires less steel than aluminum. This usually means that for an equal gas capacity, a steel air gun bottle will have a total weight less than an aluminum. The service life of a properly cared for steel air gun bottle is widely considered to be at least 40 years. The service life of a properly cared for aluminum air gun bottle is more controversial, but some shops no longer fill an aluminum tank over 15 years old. 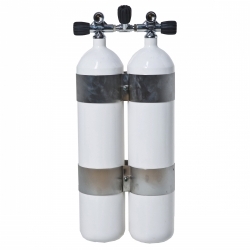 Air gun cylinders made from high quality chrome molybdenum steel are much more durable than aluminum tanks. New manufacturing technology enable reduce weight of air gun bottles without reducing safety so you can easily manipulate with your air gun and liquidate your enemies. 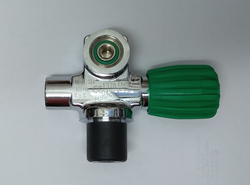 Our air gun cylinders are filling with high pressure air. Advantages of compressed air against CO2, are accuracy, efficiency, safety and longer working. 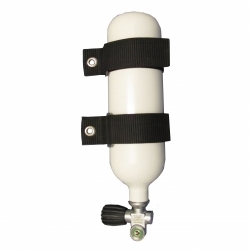 Our refilling air gun bottles have abundant volume for multiple filling your primary air gun bottle. Why steel air gun cylinder?